Stir Fry is a great recipe for the low FODMAP individual. With the variation of protein, vegetables, and sauces you can use, almost anything can be modified to fit the diet. 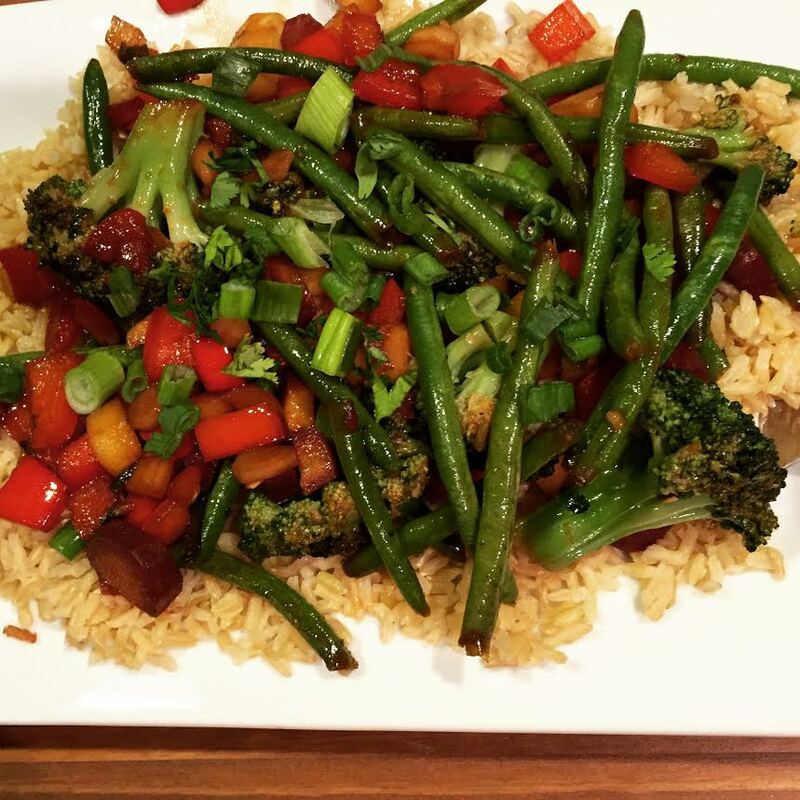 Making stir fry is a good way to get a few servings of vegetables, too! I used to love this amazing sauce from Cooking Light, but it had honey and garlic in it, and I stopped cooking with it for a while. I decided to modify the sauce and it was almost as good as I remembered! Try it on your own stir fry, you won’t be disappointed! Directions: Saute garlic clove and about half of the scallions in vegetable oil over medium heat for 2-3 minutes, making sure the garlic doesn’t brown. Remove garlic from pan, reduce heat to low. Add vegetables, and saute for 15 minutes at medium low heat, until most of the vegetables have softened and are turning brown. In the meantime, combine remaining scallions, cilantro, tamari, ginger, sugar, sesame oil, maple syrup, lime rind,lime juice, and sriracha in a blender. Blend until well combined. Pour sauce over vegetables and cook on low for 5 minutes, stirring freqently, until sauce has thickened and reduced slightly. Serve with rice or gluten free noodles. Some notes: Broccoli and edamame are items that most FODMAP food lists encourage to eat in low amounts, or not eat at all. I cannot tolerate either of these items, but add them for my husband. Recently, I made brown rice with turmeric, and the added spice was delicious! When making rice, simply add turmeric to your liquid, rice, and simmer. This recipe is also delicious with coconut rice!